Are you looking for the best parts online for your Mercedes-Benz? OEM parts may be the way to go. Knowing the difference between OEM, aftermarket, and used parts can help you a great deal during your auto restoration or customization project. Make sure that when you’re planning out your parts budget for your project, you have all of the information to make an informed decision on where to buy your Mercedes-Benz OEM parts and accessories. What Does “OEM” Stand For? OEM stands for “original equipment manufacturer” and is a term to describe a part that has been made by the same manufacturer as the original part. If someone claims to sell an OEM car part, they are getting that part from the same company that originally produced it when the car was being built (whether that was in the 1950s or now). Because car companies often outsource certain parts and assemble them, the original equipment manufacturer may or may not be the maker of the vehicle. In this case, an OEM part may or may not come from Mercedes-Benz (MB), but it comes from the same company that MB used to get the part originally. Why Are MB OEM Parts Preferred? Because Mercedes-Benz doesn’t outsource quite as many parts as some of their competitors, often, an OEM part may come directly from them. Regardless of which company the exact part in question came from, purchasing OEM MB parts can help those trying to restore a car to its original or close-to-original form. For those who have restoration in mind during their project or hope to actually conserve the original metal form of the car as much as possible, finding parts labeled “OEM” means that you can get the car as close as possible to its original condition. On the opposite end of the new-parts spectrum from MB OEM parts is aftermarket parts. This term describes any part created by a different company than the original creator. (In other words, it’s a part created after the car went to market.) One can often find these parts at a discount or at least for very low prices. When customizing, re-creating, or souping up a new ride, aftermarket parts are a fine way to go. On the other hand, if the focus is to create something historically accurate and restore the vehicle to its fresh-off-the-line form, then these parts should probably be avoided. That being said, most affordable restoration projects blend a combination of the two types of parts together, either because the manufacturer is no long making a part or because it’s simply not within budget to get an OEM part for every single need. Discount auto parts dealers often will label their parts as “OEM” or “aftermarket.” Now that you know the difference between the two, you can make your own judgment call on when either is appropriate. Before rushing out to get cheaply made aftermarket parts, see what we have to offer first. 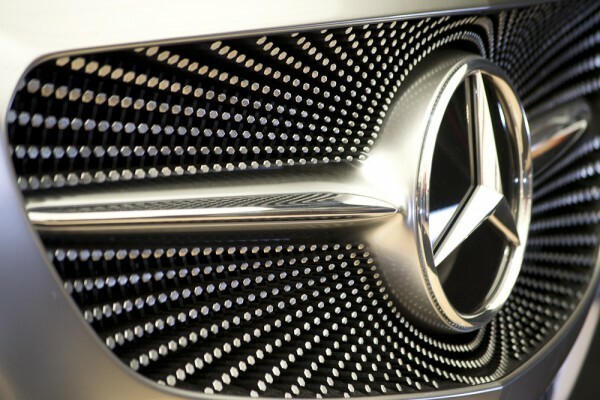 With us, you can purchase new or like-new Mercedes-Benz OEM accessories and parts at a fraction of the normal cost. Find and buy better-quality parts from the experts at The Benz Bin today!